There’s no perfect way to buy wine, and there’s no perfect wine. But, isn’t it better to KNOW what you’re doing when you head down to your local liquor store? 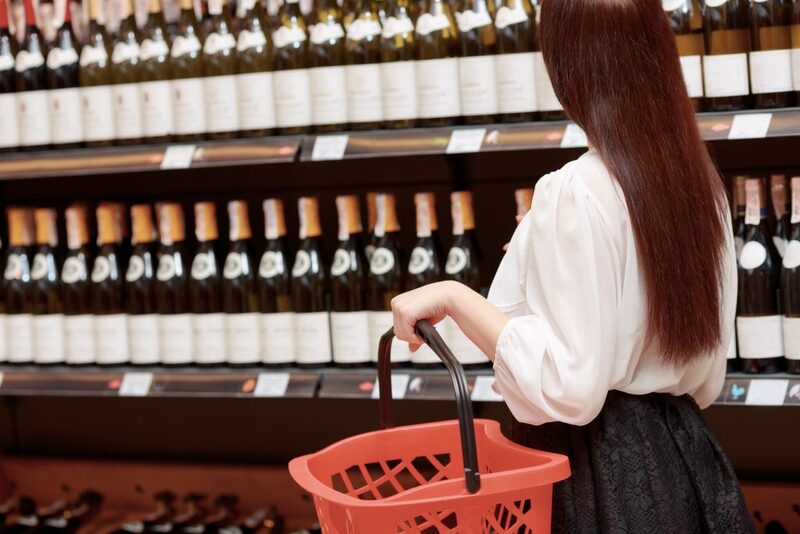 In front of a seemingly endless array of choices, being able to purchase a great bottle of wine needs a little bit of groundwork and a lot of wit. You have to know what you’re getting into in order to produce satisfying results. And when you do get to pull it off, that bottle of wine not only enhances the food you’ve prepared, the experience gives you confidence that you can pick a bottle with your money’s worth. So, here are 6 of the best practical tips we can give you get that bottle home. Before heading out to find the wine of your choice, hone in to what kind you want to have. Buying it depends on the event and food you’re having. Purchasing for a party is different from having to restock your wine fridge with something you’d enjoy by yourself. Read about your choices. Most wines are labelled by the region they’re produced in. Explore regional products and compare their ratings and reviews because some winemakers from lesser known regions produce incredible wine. Get to know the words (which are featured on this article here) that wine tasters use to describe certain tastes, smells, sensations to better understand those reviews. Don’t be embarrassed to take out your phone, a magazine or a brochure to look up bottles you’re curious about. There are plenty of resources you can count on when it comes to wine. As we talked about earlier, the kind of wine you want to drink depends heavily on the food you’re going to eat. The rule of thumb is that the best combination comes out when the food brings out the best of what the wine has to offer. Stay away from wines with high Tannin, bitter wines, when you’re going to eat equally bitter food like mustard greens and brussels sprouts. Instead, wines like that are amazing with fatty and salty food. Wines should also be sweeter than any dish being served, even with dessert. This is to stop you from feeling more of the tannin when you eat food that has more sugar in it. Similarly, wine should also have more acidity to avoid an untoned taste. So, for specific recommendations? If the dish is spicy, get a soft and fruity red wine. For meats, barbecue goes great with New World whites for their full-bodied attributes. In contrast, Old World wine is better with mushrooms and earthy roots. Chicken tastes heavenly with New Zealand Pinot Noir while lamb can be paired with Rioja. Sauvignon Blanc is popular with seafood, but only Loire Valley goes with mussels. And if you’re going for oriental food, choose Riesling for its sweet and zesty style. After you’ve considered your wine choices, check their prices. Remember that expensive wines aren’t always what they appear to be. They can be marketed in ingenious ways, but may carry a value that doesn’t justify how much they cost. Set the 2008 Didier Dagueneau Silex aside, and look at other labels carefully. It may appear chic or may spell out words you can’t ever hope to say correctly, but that doesn’t tell you much about the wine itself. Avoid trying to find something that bears the name of a famous region. Producers raise their bottles’ prices even with just a pinch of notoriety. In fact, famous vineyards can have mediocre tasting wine cost more than excellent ones from unfamiliar producers. So, find similar bottles that are made from unknown regions. You’ll get roughly the same kind of wine for the fraction of the price, like how a Roederer Estate Brut can be more cost friendly than a Dom Perignon or how a Martin Codax Albariño can stand in for expensive Chardonnay. For most people, size matters; weight still has a firm position when it comes to prominence and quality. A wine bottle that holds 1.5 liters of wine is called a Magnum. Multiply that by two, and you have a Double Magnum. There’s also a Jeroboam that’s equivalent to 6 standard 750 ml. wines and an Imperial which has a 6-liter capacity – that’s two Double Magnums. Now, this is where it gets a little tricky. A lot of enthusiasts would argue that big bottled wines are nasty frat boy party style drinks that are mass produced and sold in very cheap prices. But in reality, it all depends on the winemaker. Sensible liquor stores with an acceptable assortment will actually provide you with Magnums that taste better compared to their smaller counterparts. And there is an equally sensible explanation for this. Wine ages better and slower inside Magnums and its kin because it’s less exposed to oxygen. In retrospect, the proportion of exposed wine to unexposed wine dwindles down when a bottle gets larger, the more help the wine gets in slowly developing its taste and character. A decent Magnum is actually safe bet for parties. So, if you’re planning to give out wine as a gift, go for bigger bottles. Awe your recipient with something big and fancy like a 2007 Mount Eden Estate Chardonnay Magnum, a Cruz Mountain or a 2007 Sori Paitin Barbaresco Magnum from Italy. Most gifts to social gatherings are superficial. They’re meant to be appreciated right after being received. And what’s better than getting a grand reaction to a huge bottle of wine? When it comes to buying just about anything, it’s best to befriend salespeople or better yet, the owner of a store. These are people who know what they’re doing, and most of the time, they work there because they’re passionate about what they do. Ask for recommendations. They know what’s in the stuff they’re selling to customers, so it only makes sense to ask them which wine would work best for you. Also, make return trips to talk about your last purchase. The feedback can help the store in dealing with other customers as well as determining what really fits your taste. Lastly, look at this at a new angle. Instead of focusing on what you want your wine to be, look for traits that you don’t want it to have. If a sweet wine like Riesling is what you’re look for, then concentrate on tasting the elements of a wine other than being sweet. Seek out the dryness, intensity of the alcohol, the flavor etc. – traits that give it ‘fault’. This way, you won’t be measuring a botte just by one criteria only. And, when you’ve finally sampled a glass that doesn’t have glaring ‘faults’, then you’ve pretty much have the perfect wine that suits your taste. Sulphur Compounds. Try to sniff out the wine’s aroma. Odor that’s somehow the same as rotten eggs means it has Hydrogen Sulphide. This means that the grapes used in the production have low nitrogen content making the yeast secret foul odors. Meanwhile, wine with high Ethyl Mercaptan has a very strong skunk-like stink that’s oftentimes combined with a whiff of cabbages, coffee and even garlic. Shake the glass gently to try to aerate the wine to reduce the smell. You can also cover the glass with your palm and shake it. Needless to say, if the odors don’t dissipate that bottle is done for. Tainted Cork. Officially, this is caused by TCA (2,4,6-Trichloroanisole), a chemical from real cork that’s transferred itself into the wine during production. It totally ruins it. Aside from a musty moldy stench, the wine also loses its fruity flavor. There’s no way of fixing this, so you’re better off buying a new bottle. Oxidized Wine. Finally, when wine doesn’t look like that way it should be – white becomes cloudy brownish while red will have a brown-orange color – it may be oxidized. What happens is that the wine gets exposed to too much oxygen leaving it contaminated. This is also unfixable. So, knowing how to tell if a bottle is what it’s supposed to be is important. It not only saves you from buying the wrong wine, it spares you from wasting your money and the embarrassment of having to give something nasty as a gift.